Defending Pro Stock Motorcycle Champion Jerry Savoie emerged victorious with a 6.918 at 192.85 to defeat Hector Arana Jr’s pass of 6.862 at 195.62. Savoie notched his seventh career victory and first of the season. Savoie has now reached two final rounds in four events, defeating Cory Reed, Scott Pollacheck and Angie Smith on the day. Arana Jr. defeated Melissa Surber, Eddie Krawiec and Karen Stoffer to reach his first final round of 2017. 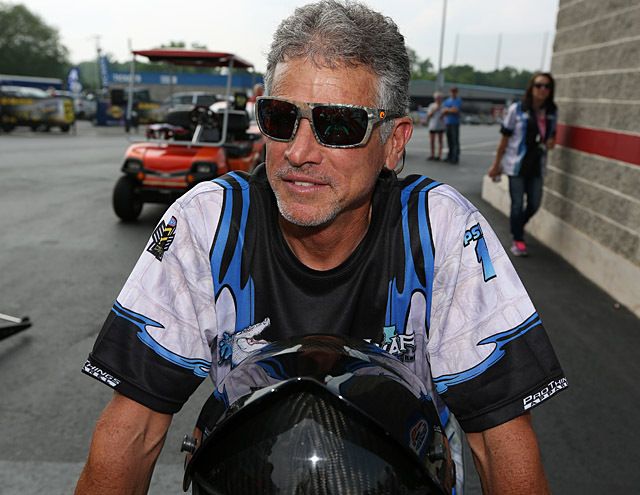 With his first victory of the season, Savoie now sits third in the Pro Stock Motorcycle standings, becoming the third winner in four events in the category. Arana Jr. is sixth in the standings following his best finish of the season. FINAL — Savoie, 6.918, 192.85 def. Arana Jr, 6.862, 195.62. 1. Eddie Krawiec, 358; 2. LE Tonglet, 356; 3. Jerry Savoie, 322; 4. Andrew Hines, 263; 5. Scotty Pollacheck, 250; 6. Hector Arana Jr, 234; 7. Joey Gladstone, 223; 8. Karen Stoffer, 186; 9. (tie) Steve Johnson, 167; Angie Smith, 167.